Restofair RAK is a joint venture between RAK Porcelain & ECF France. Central warehouse in Ras al Khaimah with Dubai Cash & Carry outlet, offices in Ras al Khaimah, Dubai, Abu Dhabi and direct sales agents all over UAE to serve you faster. We are committed to meet your specific and varying expectations. Whether you are a hotel, restaurant, cafe, bakery, catering company, prestigious establishment, school, hospital or a fast-food unit, we dedicate a specialized team to offer you personalized service. ECF France, European leader in the distribution of small equipment and consumables for professionals in hotel, restaurant and food industry with more than 80,000 clients across 12 countries since inception in 1880.ECF reaches out to the clients with 200 direct sales agents and 44 Cash & Carry networks in Europe. 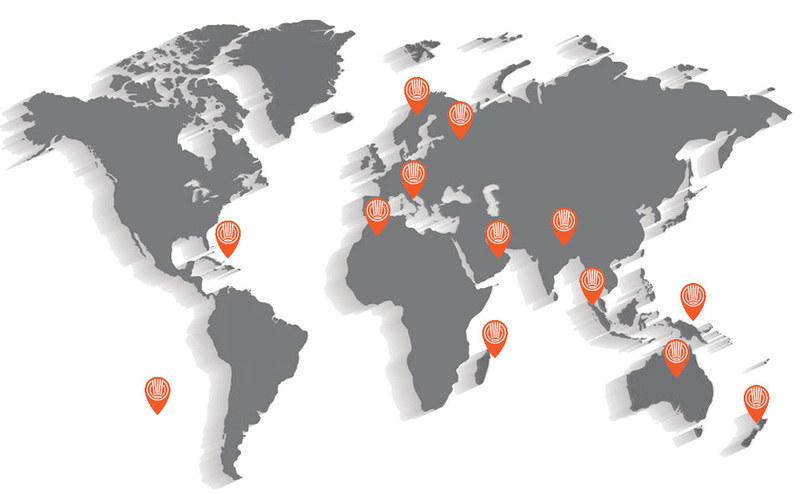 Reward Distribution Australia is a 350 member team and a network of stores in major cities in Australia, enabled ECF to serve a wider clientbase in Oceania. Over a decade of experience in the Middle East and more than 100 years worldwide, we are committed to meet your specific and varying expectations. Whether you are a hotel, restaurant, cafe, catering company,prestigious establishment, school, hospital or fast food unit,we dedicate a specialized team to offer you personalised service.